If I had to just pick one strategy to sell more catering, it would be sampling. Whether it is a full blown mini-buffet for a committee working on a company picnic for two thousand, or a small tasting for four admins who order lunch for a law office, nothing beats sampling. Fresh pulled pork shoulder, smoked turkey and Memphis-style ribs in a decision-maker’s mouth helped close the deal. A pretty picture doesn’t quite do the trick. Now knowing how to set up that tasting lunch is another story. We at Restaurant Catering Systems designed a module for our catering software called The Sales Tempo. On the way to setting up these tastings, you can run into sales friction; anything that keeps the selling process from progressing. CATERING SALESPERSON: Let me know some dates/times you’re available for me to come out and do a tastinng. CATERING PROSPECT: I can do next Tuesday at 11:30am or Wednesday at noon. CATERING SALESPERSON: I’m booked at those times. Can you do Thursday at 1pm? Or shoot me over some more options. CATERING PROSPECT: I can’t do Thursday. What about Friday? CATERING SALESPERSON: I’m out of town Friday. What other times work? At this point, the catering prospect doesn’t reply because of the friction to set a tasting up. He/she is off to the next project du jour, and you spend the next month (if you are good at follow-up) getting the catering prospect re-engaged. 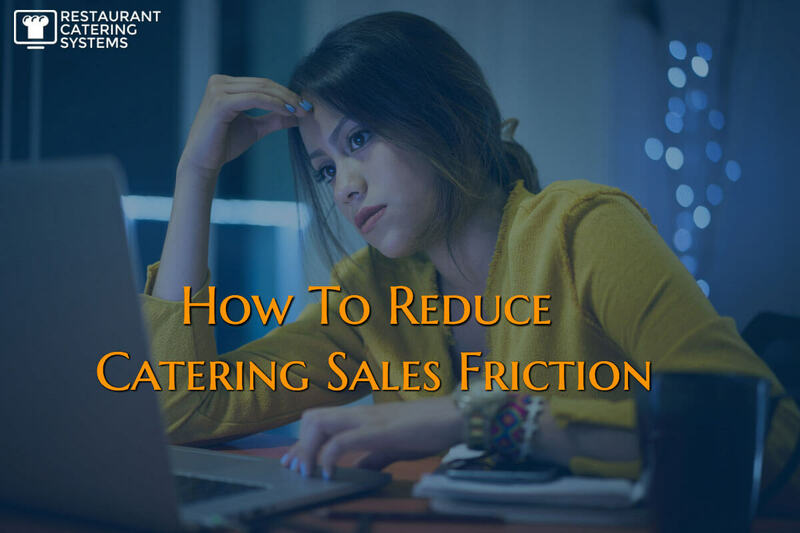 So how do you combat sales friction? How can you eliminate email ping pong? Well the answer is technology that’s been around for five years or so. It is called a scheduling software service. I started using it at least three years ago and saw my number of software demos double, because the friction and ping pong stopped. The service provides a unique scheduling link to a calendar showing the dates/times you are available. 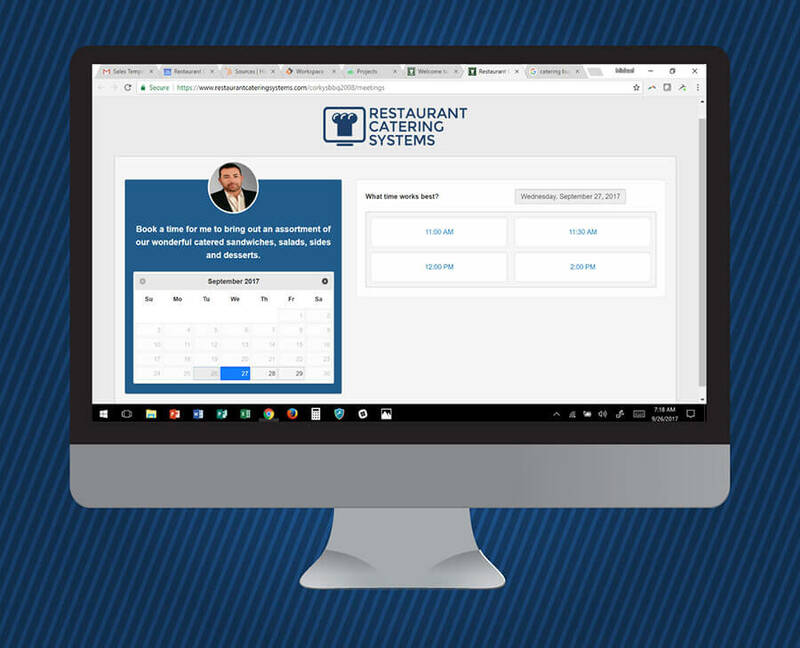 You can set general times you are available for tastings, and the system integrates with your calendar to keep other scheduling conflicts in mind. The prospect picks the date/time they want you to come out, answers a few simple questions and the system adds it to both calendars. As we saw our Sales Tempo system lacked a booking module like this, we added it into our Sales Tempo. Below is a screen shot of what the interface looks like. You can also see it live at the link below. NOTE: Please do not book anything on this page, as it ties to my real calendar. Sales and marketing success is the result of adjustments, tests and tweaks of big and little factors. Having a scheduling page doubled the number of demos I booked. What could it do for your catering sales success?